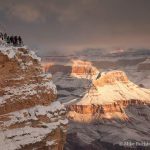 With average global temperatures on the rise, large wilderness areas such as Grand Canyon National Park will become increasingly important to the well being of the planet’s biotic communities. 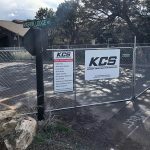 As both plants and animals work out their new dynamic with a quickly changing environment, the park will continue to serve as refuge, proving ground, and virtual laboratory for stressed flora and fauna. The spike in temps of recent years is actually a continuation of a warming and drying trend that has been in place since the last Ice Age. 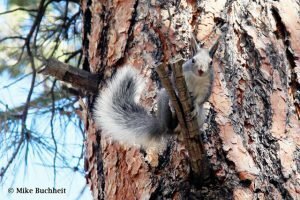 One cautionary tale of the impacts created by a changing climate is the Abert’s and Kaibab squirrels. These two critters were once a single species ranging high and low across the entire Grand Canyon. The warming of the region resulted in the desertification of the depths of Grand Canyon, thus isolating two separate populations of pine tree dwellers on either rim with no way to cross the chasm. The two isolated populations evolved differently due to different local variables in precipitation, elevation, and temperature. Today the distant cousins look and behave quite differently (the South Rim favoring Abert’s squirrel pictured here). Time will tell which plants and animals perish or flourish in a rapidly changing Grand Canyon National Park.